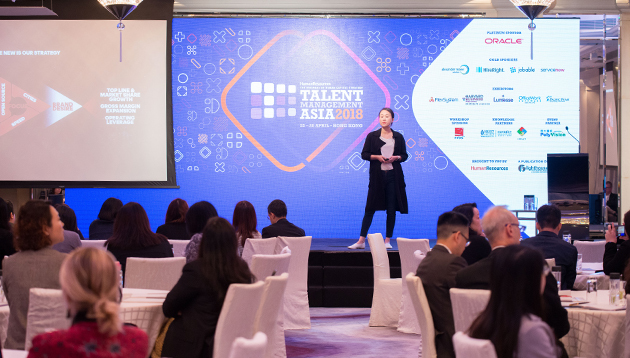 Monica Novomisle, vice president of human resources Asia Pacific, Tory Burch, gives Human resources an exclusive sneak peek into how to create a pragmatic people strategy that drives the business and inspires the team, prior to her highly anticipated keynote speech at Talent Management Asia Hong Kong in March 2019. Monica started her journey with Tory Burch in December 2017 as the vice president for human resources. She has been known for her vast experience in building high performing teams that deliver profitable and sustainable business results. Q The workplace is changing rapidly and HR must have the courage to abandon old practices and apply new strategies and approaches to win in the fiercely competitive talent environment and to engage the business and the team. How do you assure your team delivers new approaches and strategies? The key is encouraging the HR team to constantly grow and learn – I coach my team to be out learning from any and all situations and people. For example, for the business and many employees, digitisation is not a transformation but a way of life now; as such, I think the key, is allowing the HR team to dream and push the team to challenge old boundaries and try new approaches. Q How do you maximise the people plan to add business value? We, as an HR team, expect ourselves to be commercially savvy by constantly holding business trainings for HR and asking our business stakeholders about the business continuously. We also assure that all our goals are linked to driving the business goals and the multi-year business strategy. Q What are you hoping to achieve with your keynote speech at Talent Management Asia 2019? My entire career and our HR discipline have been on a constant transformation to drive the business strategy through people strategies. Many conventional HR disciplines are reducing as expectations for people strategy grows exponentially. The opportunity for HR’s growth is limitless at this moment. I hope to share some of my experiences on this journey and exchange ideas and learn from others’ journeys. Between 19 and 20 March 2019, the two-day Talent Management Asia conference will showcase the best practices in talent management, acquisition and retention and cover the most pressing talent management issues facing HR professionals today. Other confirmed speakers include Varshaa Ram Kutik from Bank of America Merrill Lynch, Steven Campbell from Hallmark Cards and Cary Shek from Klook. Stay tuned for our “60 seconds” speakers series before the event! What does Cathay Pacific mean by non-essential staff? Daniel Chong of Convoy Financial wonders who are the non-essential workers since only management has the power to make (bad) decis..